Lev Tikhomirov, the son of a military doctor, was born in Gelendzhik, Russia, on 19th January, 1852. As a student he was deeply influenced by the ideas of Sergei Nechayev. and was a member of the Circle of Tchaikovsky in St Petersburg. He later recalled: "We understood our programme in a very anarchist sense. Anarchy was then flourishing. Were we anarchists? I really do not know. But all the undefined formulae of anarchism reconciled themselves very easily to the undefined nature of our ideas. Apart from a few convinced anarchists, most of us were content with vague expressions about the future, about unconditional freedom and unbounded equality. But this wasn't a programme; these dreams replaced for us both our future life and our lost faith." 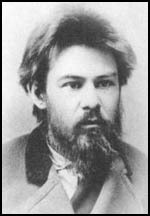 In 1869, two Russian writers, Mikhail Bakunin and Sergi Nechayev published the book Catechism of a Revolutionist. It included the famous passage: "The Revolutionist is a doomed man. He has no private interests, no affairs, sentiments, ties, property nor even a name of his own. His entire being is devoured by one purpose, one thought, one passion - the revolution. Heart and soul, not merely by word but by deed, he has severed every link with the social order and with the entire civilized world; with the laws, good manners, conventions, and morality of that world. He is its merciless enemy and continues to inhabit it with only one purpose - to destroy it." In 1873 Lev Tikhomirov was arrested and was sentenced to a four year term in the Peter and Paul Fortress. On his release he joined the Land and Liberty organization. Most of the group shared Bakunin's anarchist views and demanded that Russia's land should be handed over to the peasants and the State should be destroyed. The historian, Adam Bruno Ulam, has argued: "This Party, which commemorated in its name the revolutionary grouping of the early sixties, was soon split up by quarrels about its attitude toward terror. The professed aim, the continued agitation among the peasants, grew more and more fruitless." Lev Tikhomirov, Vera Figner, Anna Korba, Andrei Zhelyabov, Timofei Mikhailov, Mikhail Frolenko, Grigory Isaev, Sophia Perovskaya, Nikolai Sablin, Ignatei Grinevitski, Nikolai Kibalchich, Nikolai Rysakov, Gesia Gelfman, Anna Yakimova, Tatiana Lebedeva and Alexander Kviatkovsky all joined the People's Will. Figner later recalled: "We divided up the printing plant and the funds - which were in fact mostly in the form of mere promises and hopes... And as our primary aim was to substitute the will of the people for the will of one individual, we chose the name Narodnaya Volya for the new Party." Michael Burleigh, the author of Blood & Rage: A Cultural History of Terrorism (2008), has argued that the main influence on this small group was Sergi Nechayev: "The terrorist nucleus of Land and Freedom had already adopted many of Nechayev's dubious practices, including bank robberies and murdering informers. People's Will also borrowed his tactic of suggesting to the credulous that it was the tip of a much larger revolutionary organisation - the Russian Social Revolutionary Party - which in reality was non-existent. There was an imposing-sounding Executive Committee all right, but this was coterminous with the entire membership of People's Will... In fact, People's Will never had more than thirty or forty members, who would then recruit agents for spectific tasks or to establish affiliate cells within sections of society deemed to have revolutionary potential." Soon afterwards the People's Will decided to assassinate Alexander II. A directive committee was formed consisting of Lev Tikhomirov, Andrei Zhelyabov, Timofei Mikhailov, Mikhail Frolenko, Vera Figner, Sophia Perovskaya and Anna Yakimova. Zhelyabov was considered the leader of the group. However, Figner considered him to be overbearing and lacking in depth: "He had not suffered enough. For him all was hope and light." Zhelyabov had a magnetic personality and had a reputation for exerting a strong influence over women. Khalturin approached George Plekhanov about the possibility of using this opportunity to kill Tsar Alexander II. He rejected the idea but did put him in touch with the People's Will who were committed to a policy of assassination. It was agreed that Khalturin should try and kill the Tsar and each day he brought packets of dynamite, supplied by Anna Yakimova and Nikolai Kibalchich, into his room and concealed it in his bedding. Cathy Porter, the author of Fathers and Daughters: Russian Women in Revolution (1976), has argued: "His workmates regarded him as a clown and a simpleton and warned him against socialists, easily identifiable apparently for their wild eyes and provocative gestures. He worked patiently, familiarizing himself with the Tsar's every movement, and by mid-January Yakimova and Kibalchich had provided him with a hundred pounds of dynamite, which he hid under his bed." This disaster resulted in a heated debate on the purposes of terrorism. One faction that included Nikolai Morozov and Olga Liubatovich, argued that the main objective was to force the government to grant democratic rights to the people of Russia. 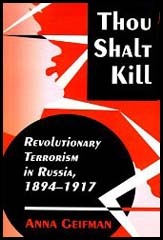 However, another faction, led by Lev Tikhomirov, believed that it was possible for a small group of revolutionaries to use terrorism in order to directly capture power. Liubatovich argued: "During the debates, the question of Jacobinism - seizing power and ruling from above, by decree - was raised. As I saw it, the Jacobin tinge that Tikhomirov gave to his program for the Executive Committee gave to his program for the Executive Committee threatened the party and the entire revolutionary movement with moral death; it was a kind of rebirth of Nechaevism, which had long since lost moral credit in the revolutionary world. It was my belief that the revolutionary idea could be a life-giving force only when it was the antithesis of all coercion - social, state, and even personal coercion, tsarist and Jacobin alike. Of course, it was possible for a narrow group of ambitious men to replace one form of coercion or authority by another. But neither the people nor educated society would follow them consciously, and only a conscious movement can impart new principles to public life." Liubatovich and Morozov left the organization and Tikomirov's views prevailed. 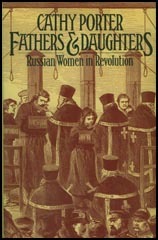 According to Cathy Porter, the author of Fathers and Daughters: Russian Women in Revolution (1976), argues that Tikhomirov and Nikolai Morozov were the "chief spokesmen for an inner circle of revolutionaries, armed with daggers and revolvers and bent on disposing of harmful officials and defending its members against the police. For them the struggle was fundamentally political rather than economic; their means were to be terrorist." Kibalchich, Isaev and Yakimova were commissioned to prepare the bombs that were needed to kill the Tsar. Isaev made some technical error and a bomb went off badly damaging his right hand. Yakimova took him to hospital, where she watched over his bed to prevent him from incriminating himself in his delirium. As soon as he regained consciousness he insisted on leaving, although he was now missing three fingers of his right hand. He was unable to continue working and Yakimova now had sole responsibility for preparing the bombs. A crisis meeting was held in which Timofei Mikhailov called for work to continue on all fronts. However, Sophia Perovskaya and Anna Yakimova argued that they should concentrate on the plans to assassinate the Tsar. Nikolai Kibalchich was heard to remark: "Have you noticed how much crueller our girls are than our men?" It was eventually agreed that Perovkaya and Yakimova was right. It was decided to form a watching party. These members had the task of noting every movement of the Tsar. Nikolai Kibalchich wanted to make a nitroglycerine bomb but Andrei Zhelyabov regarded it as "unreliable". Sophia Perovskaya favoured mining. Eventually it was decided that the Tsar's carriage should be mined, with hand grenades at the ready as a second strategy. If all else failed, one of the members of the assassination team should step forward and stab the Tsar with a dagger. It was Kibalchich's job to provide the hand grenades. Perovskaya was arrested while walking along the Nevsky Prospect on 10th March. Later that month Nikolai Kibalchich, Grigory Isaev and Mikhail Frolenko were also arrested. However, other members of the conspiracy, including Vera Figner and Anna Yakimova, managed to escape from the city. Tikhomirov managed to escape to Switzerland and later settled in Paris. During this period he published biographies of Perovskaya, Kibalchich, and Andrei Zhelyabov. While living in exile Tikomirov lost his revolutionary beliefs. in 1886 he wrote: "From henceforth our only hope is Russia and the Russian people. We have nothing to gain from the revolutionaries ... In light of this, I have began to reconsider my life. I must now build it in such a way so as to serve Russia according to the dictates of my conscience, independent of all parties." He added: I do not like my youth. It is full of the passioned desires of a corrupt heart, full of impurity, full of a stupid pride, a pride of someone who, while realizing his potential, has not yet matured to analytical thinking or independence of thought." His total opposition to his former views appeared in Why I am No Longer a Revolutionary (1888). As a result of this book Tsar Alexander III allowed him to return to Russia. Tikhomirov became one of Russia's leading right-wing journalists. He wrote several books expressing his conservative views. This included On Monarchist Statehood (1905) where he gave his support to the monarchy and religion: "If a powerful moral ideal exists in a society, an ideal calling all to voluntary obedience to, and service of, one another, then it brings about monarchy because the existence of this ideal negates the need for physical force (democracy) or the rule of an elite (aristocracy). All that is necessary is the continual expression of this moral ideal. The most capable vehicle for this expression is one individual placed in a position of complete independence from all external political forces." 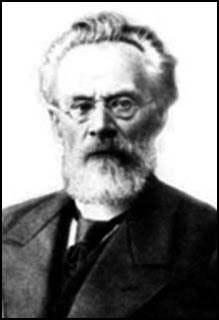 Lev Tikhomirov died on 10th October 1922. (1) Olga Liubatovich wrote about her disagreements with Lev Tikhomirov in her memoirs published in 1907. During the debates, the question of Jacobinism - seizing power and ruling from above, by decree - was raised. As I saw it, the Jacobin tinge that Tikhomirov gave to his program for the Executive Committee gave to his program for the Executive Committee threatened the party and the entire revolutionary movement with moral death; it was a kind of rebirth of Nechaevism, which had long since lost moral credit in the revolutionary world. It was my belief that the revolutionary idea could be a life-giving force only when it was the antithesis of all coercion - social, state, and even personal coercion, tsarist and Jacobin alike. Of course, it was possible for a narrow group of ambitious men to replace one form of coercion or authority by another. But neither the people nor educated society would follow them consciously, and only a conscious movement can impart new principles to public life. At this point, Morozov announced that he considered himself free of any obligation to defend a program like Tikhomirov's in public. I too, declared that it was against my nature to act on the basis of compulsion; that once the Executive Committee had taken on a task - the seizure of state power - that violated my basic principles, and once it had recourse in its organizational practice to autocratic methods fraught with mutual distrust, then I, too, reclaimed my freedom of action. Zemlya i Volya had long contained a "disorganizational group", whose task was to encourage strikes and work for the release of imprisoned comrades. Under the leadership of Natanson this had developed into the `troglodyte' group, which after the arrest of Natanson had given birth to a conspiratorial group, now emerging as a powerful secret faction within a secret organization. Morozov and Tikhomirov were the chief spokesmen for an inner circle of revolutionaries, armed with daggers and revolvers and bent on disposing of "harmful" officials and defending its members against the police. For them the struggle was fundamentally political rather than economic; their means were to be terrorist. This group came to be known as the `politicians', while those who still concentrated their energies in the provinces became known as the `country group'.